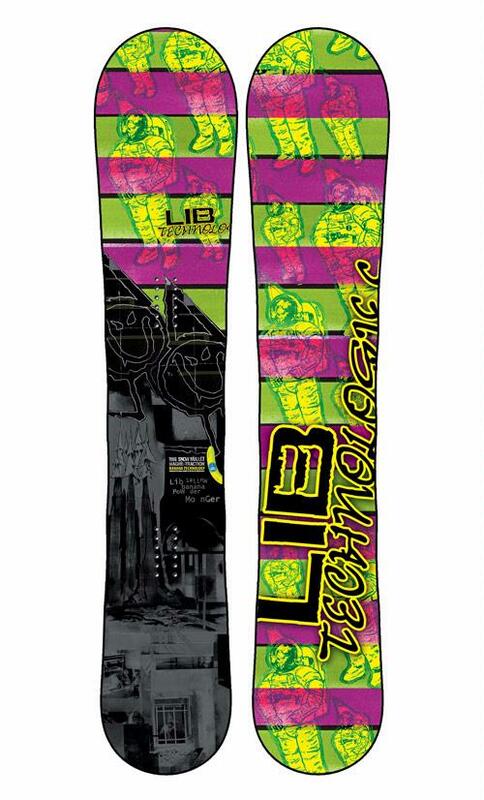 The Lib Tech Snow Mullet is a continuous rocker directional tapered powder specific board with a lot of extra edge hold going on. The Mullet also comes in many sizes and the 160 was more than enough board to float. The 156 and 160 are made for normal feet and the 165 and 172 are more for mid to wide feet. Approximate Weight: Feels normal. Nothing to complain about or write home about. On Snow Feel: So the Snow Mullet’s BTX (continuous rocker) makes for an easy forgiving ride but it’s also pretty loose between the feet. In powder, which this is mainly for, it won’t feel that loose. However, if you have to ride icy peaks it will want to auto spin on you and not one foot or flat base well. Powder: It can be a little overly grippy in thicker powder but it can grab a bit edge to edge in thicker powder like you see on the West Coast. It’s something you can get used to but it’s definitely different compared to boards with plain side cuts. I never once felt like there was any problem staying afloat in the thick ugly Sierra powder and it just felt a little sticky making turns. Turn Initiation and Carving: You can even take this out on a hard pack day and have a decent time making modest turns. The rocker snow mullet doesn’t have the carving ability that the old cambered versions had though and it washes out pretty easy. Speed: The Mullet also has a very fast base and if it wasn’t for the rocker shape it would ride much faster. Uneven Terrain: Really easy when the day is all bumpy and ugly. Nice weekend resort board. Edge Hold: Really grips well. Flex: Nice mediumish flex that allows you to butter pretty well. Switch: Not that easy switch but more doable than you would think for the tapered directional shape. I wouldn’t say it rides like a double ender but you can do it. Pipe: The MTX will hold an edge so you can ride it but there are better boards out there for sure. Jumps: Nice pop from between the feet and the board is fine for a method here and there but it’s a little better to have some camber in the tail in case you land more on your back seat. The 2011 and 2010 Mullet don’t have many differences. We try to get as many images of the Lib Tech Snow Mullet, but forgive us if they're not all there.